GARDEN OASIS IN THE CITY! This is a true rare offering in the heart of one of Vancouver's finest heritage blocks - Crosstown! 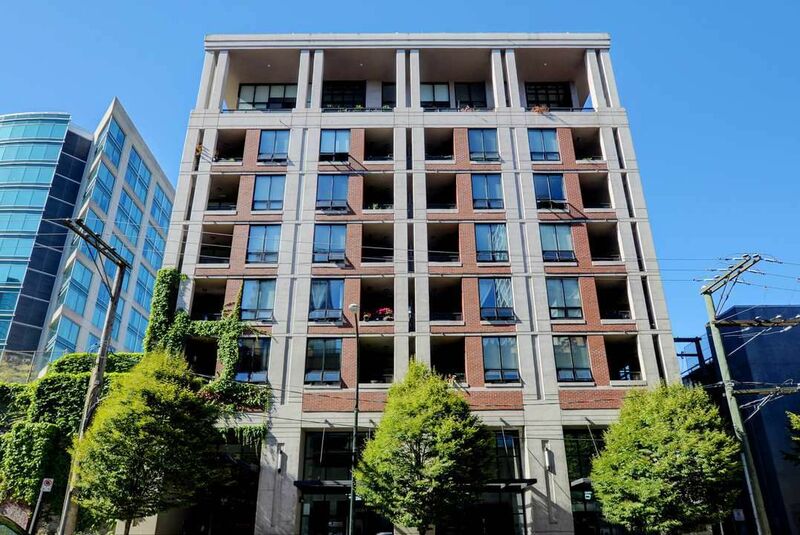 The spacious 2 bed, 2 bath plus den/solarium unit boasts overheight ceilings, engineered hardwood floors, open plan kitchen with island, quartz counter tops and stainless steel Bosch appliances. The large solarium/den could easily be converted to a third bedroom. Convenient in suite storage. Huge over sized parking stall. Walk out to the private 1,355 sq ft terrace and gardens and enjoy the outdoor gas fireplace, gas BBQ hook-up and multiple maple trees and perrenials. Pets & rentals allowed. This is perfect for the buyer looking for the convenience of downtown living with outdoor space to entertain in style!